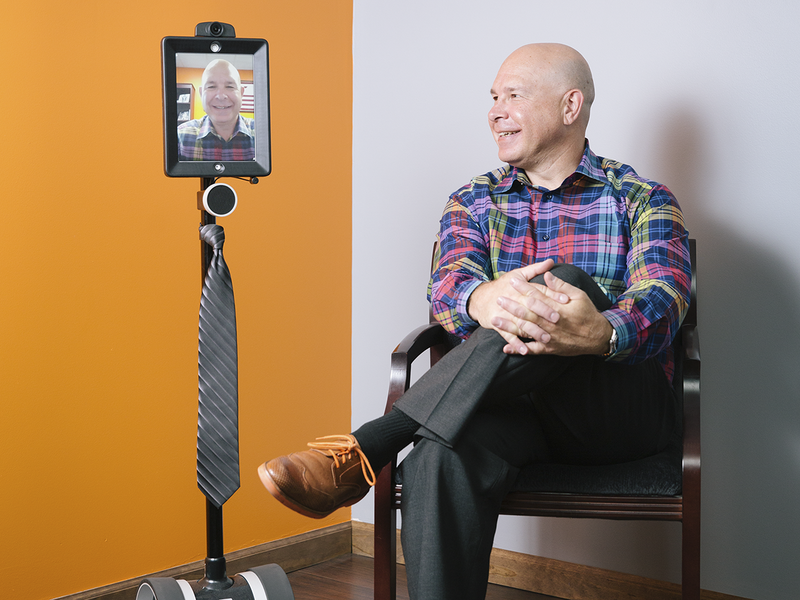 Many 417-­land companies are introducing robots into their offices. Are they making our jobs better or replacing us? At Springfield-based fabrication company Elemoose, Nathaniel Crouse spends approximately five to 10 hours per week collaborating with robots. The two other employees in the company’s computer numerical control department, which Crouse leads, work with these automated machines even more frequently: between 30 to 40 hours each week. Some of the technology comes with a six-figure price tag, but the investment has been well worth it for the business that makes signs, architectural elements and more. “If anything, we’ve just grown more because [automation] gave us an additional capacity,” says Elemoose Estimator Bonnie Croney. Sound familiar? Probably not if you’ve been paying attention to national headlines in the past year. The Wall Street Journal, Fox News, The New York Times, NPR and many more have covered automation from mostly the same perspective: jobs are going to disappear. Although that claim is not unfounded, the reality is more complex. “Even if we could generate [machines] that did everything better than us, it wouldn’t eliminate the need for us,” says Ken Brown, a professor and the head of Missouri State University’s economics department. He’s hinting at the principle of comparative advantage, which is one reason technological unemployment is unlikely. As machines take over repetitive, mechanical tasks, he says, “It just allows us to specialize in the things that we’re relatively better at, which are going to be less mechanical things, more higher-level–thinking sort of things.” That’s exactly what Elemoose has been implementing. Machines handle basic carving, etching, sanding and painting, and employees add details for a custom finish. Like Elemoose, regional businesses across industries are finding ways to use man and machine to produce better products and results for their clients as well as train students and new employees more effectively. As demand for automated systems increases, there is also more opportunity for the creators of automation in southwest Missouri. Several entrepreneurs are capitalizing on such technology to create new businesses, and even long-time automation houses are experiencing a boom. Jim Sheldon, owner and CEO of Lebanon-based DT Engineering, says with the right investment, Missouri has the potential to become “an automation developer state.” Whether that will happen remains unknown, but one thing is certain: 417-land has entered the augmented economy. 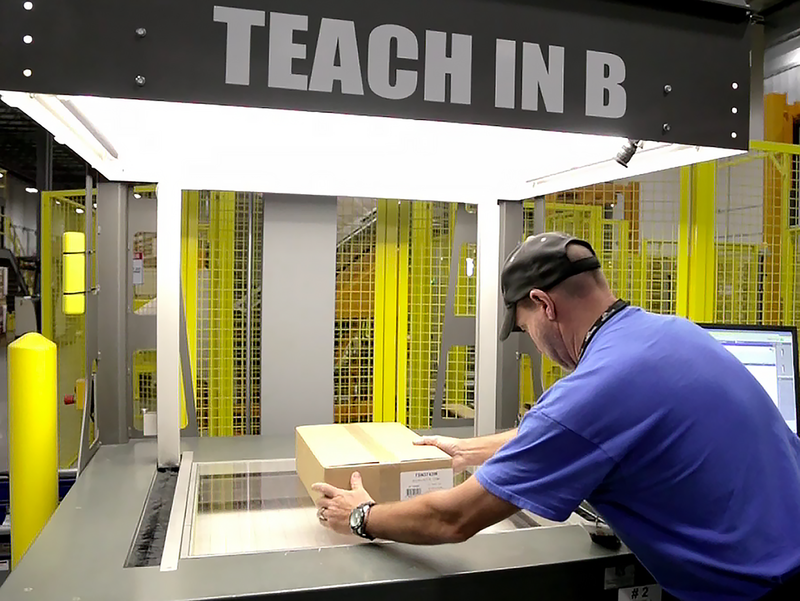 New items arriving at McLane Company Inc.’s Ozark Distribution Center are “taught in” to the custom-built warehouse management system. Experts predict automation will impact a majority of jobs in coming years, but that doesn’t necessarily mean humans will be out of work. 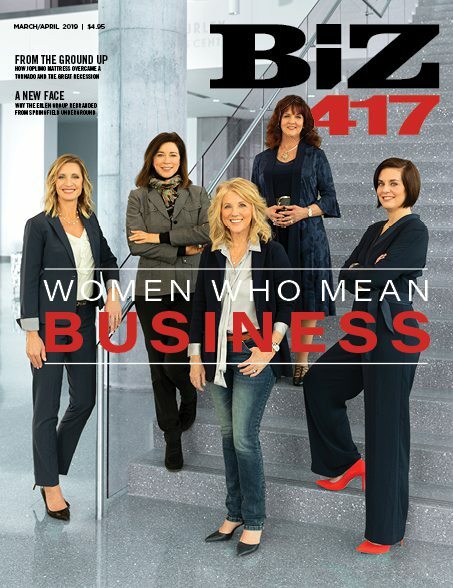 Companies in 417-land explain how automation has helped their staffs and has grown their books of business. Of the 360,300 square feet at McLane Company Inc.’s Ozark Distribution Center in Republic, about 114,000 square feet are dark. The supply chain distributor isn’t struggling. Rather, that space is dark because only robots work within it. The space buzzes with life while autonomous robots scale as many as 10 stories before finding what they seek: packaged food items that have been meticulously stored and will soon be on their way to a McLane customer. Until earlier this year, this 6-year-old distribution center was McLane’s most sophisticated facility, with robotic shipping, wrapping and lifting machines not to mention a custom-built warehouse management system, which incorporates artificial intelligence, backing the entire building. For decades the prevailing message about new technology like automation is that it threatens jobs, but Missouri State University’s Ken Brown says this is not the only outcome. “Sometimes we should think of these things as intelligent machines that assist us, not intelligent machines that replace us,” Brown says. Despite the fear of technological unemployment, he says the idea that robots will replace people largely hasn’t panned out. He points to the Industrial Revolution as a classic example, when technology allowed businesses to scale, creating the need for supervisors, accountants and others. So while some jobs disappeared to technological unemployment, others were created as new sectors of the economy developed. Similarly, consider how many jobs smartphones have spurred within the past decade and the growing demand for data scientists to digest big data. Las Vegas tops the list of metro areas with the highest share—65.2 percent—of jobs at risk of automation. Percentage of jobs at risk of automation in Joplin; Springfield clocks in at 61.9 percent. Amount spent globally in wages to complete tasks that can potentially be automated. Productivity could increase by as much as 1.4 percent annually because of automation. Elemoose employees Nick Nimmo and Patrick Brewer weld part of a metal sign. 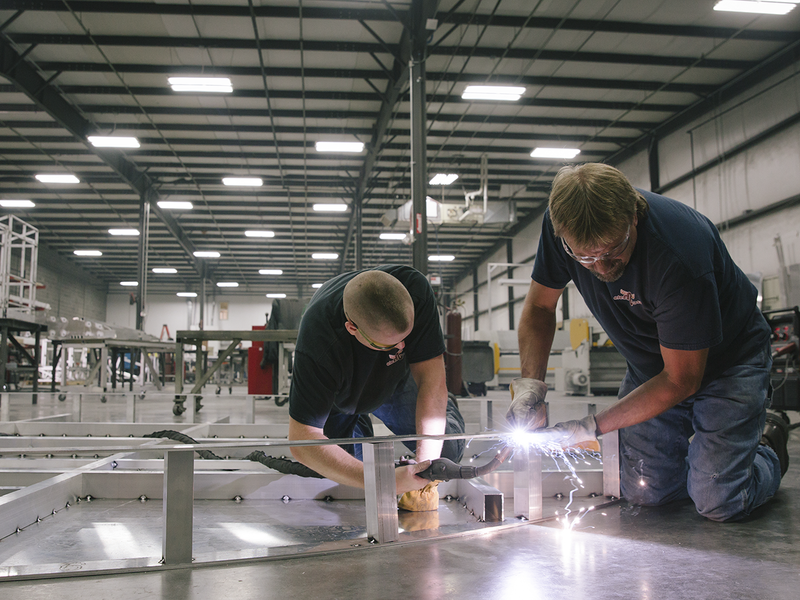 The fabrication company uses people and machines to create its products. In nearly every industry, automation has changed the way we work. Operating rooms are equipped with extremely precise robots whose presence is projected to grow. According to a 2016 Reuters article, one in three surgeries in the United States will be performed with the assistance of robotic systems by 2021. In the trucking industry, experts are exploring the possibility of platooning, a practice by which multiple trucks are linked over wireless communication systems with the lead vehicle setting the pace and effectively guiding the others. Although the technology is still in its early stages, it would increase efficiency and effectively create semi-autonomous trucks. The list of advances goes on. At Elemoose, technology has long been a focus. “Steve Tindall, who’s the owner of the company, has always been really big about having the latest technology or using the latest model,” Elemoose’s Bonnie Croney says. But the company didn’t start out that way. When Tindall started working out of his garage in the early ’90s, the business was a one-person operation completely reliant on hand tools. Tindall was contracted by Big Cedar Lodge to create several handmade signs, which turned into contracts from Bass Pro Shops for interior and exterior signs at stores across the country. By 2006, Elemoose had 82 employees, and two years later that number ballooned to 97. But the Great Recession hit the company hard. They cut the workforce by more than 65 percent. Work began to pick up again in late 2012, and as the number of employees crept back up, Elemoose also invested in new technology that it hadn’t been able to afford during the recession. “We wanted to make sure that when we came back that we also tried to catch up with new techniques that were available,” Croney says. The KUKA Robotic Arm 5SX router is just one of the automated machines within Elemoose’s computer numerical control department, which is led by Nathaniel Crouse. Among Elemoose’s 10 departments, five have integrated some form of automation. 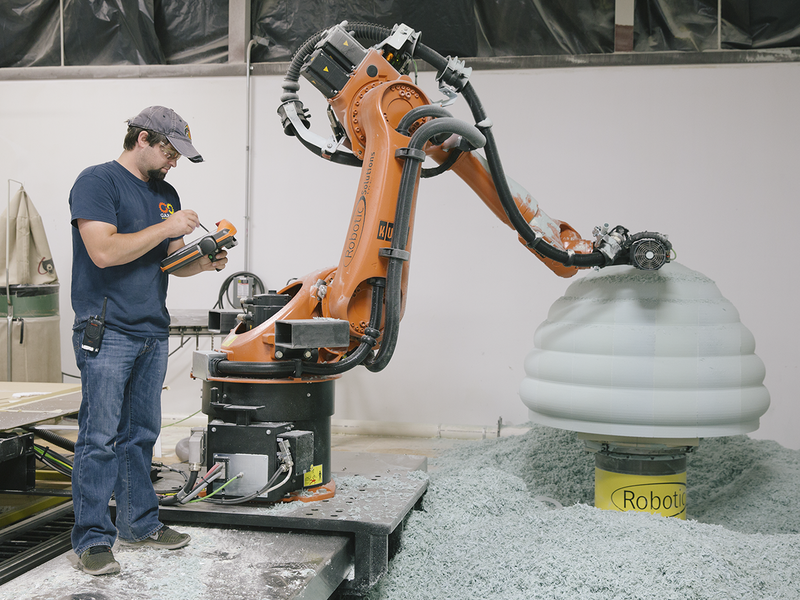 In 2014, the company bought a KUKA Robotic Arm 5SX router for roughly $500,000. 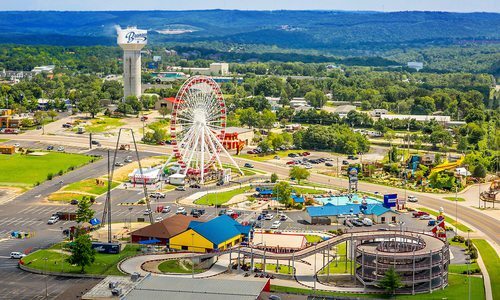 The machine—which carves Styrofoam, urethane, wood and plastics—was crucial when Elemoose crafted the 115-foot Bass Pro Shops sign affixed to the front of the Memphis Pyramid. Other technology the company relies on includes two MultiCam routers for carving and sanding, an AGFA Titan flatbed printer for adding texture and depth to signs and a laser engraving machine. Croney says these machines have kept employees from having to do time-consuming tasks like sanding and carving by hand, and the machines haven’t taken away any jobs. “The people that it would’ve had the opportunity to replace, really we just use [those people] in conjunction with the technology,” she says, adding that machines handle the time-consuming and costly tasks and laborers tackle finishing details that customize pieces for clients. In fact, automation has increased Elemoose’s capacity and allowed it to grow while, in some cases, lowering customers’ costs. In November, the company secured a contract from The Walt Disney Co. to create themed elements for Toy Story Land, currently under construction at Walt Disney World Resort in Orlando. The project led Elemoose to hire 20 additional employees to keep up. (Left) Shipments move through McLane’s Ozark Distribution Center to the loading dock as dictated by artificial intelligence software. (Right) In a process known as delayering, automatic robotic arms at McLane’s Ozark Distribution Center separate products on large pallets. Items are then stored in smaller containers within the facility. 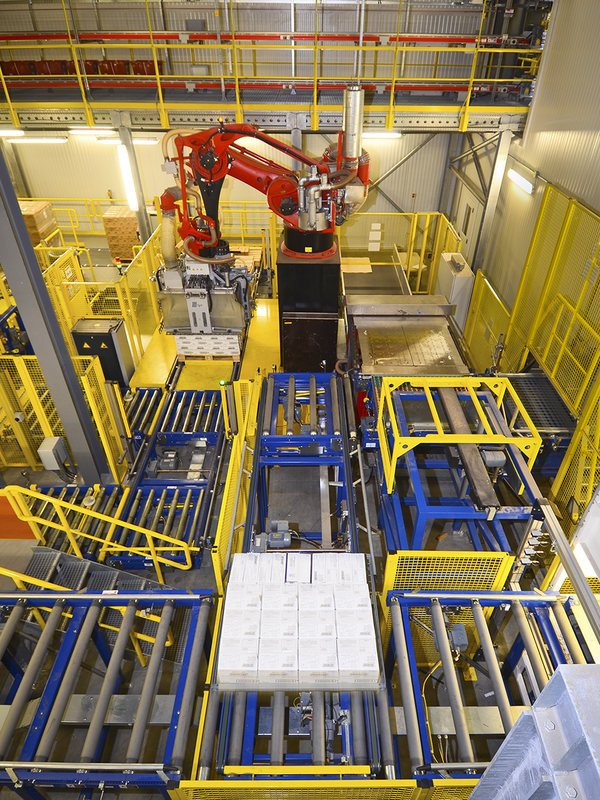 The robots can delayer up to 180 pallet layers per hour. Like Elemoose, McLane has figured out how to use automation in strategic ways to alleviate burdens on workers and increase its production volume. 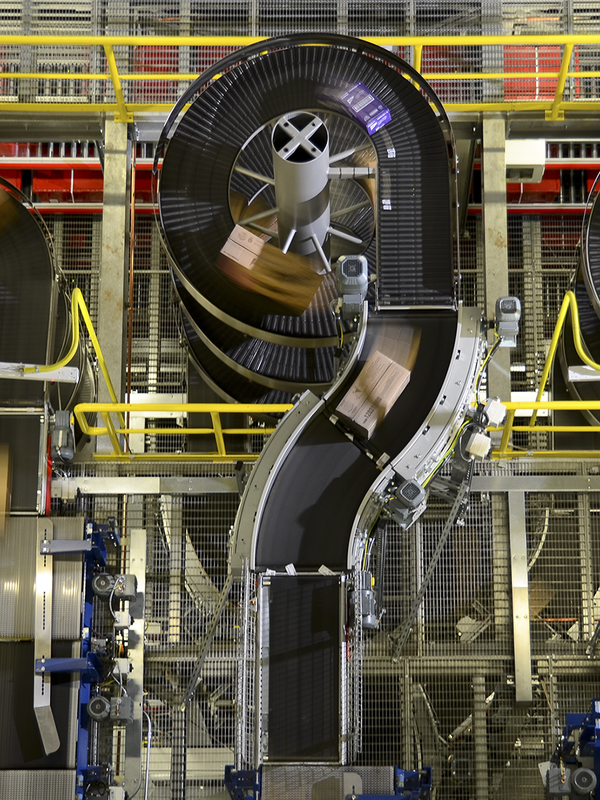 The Ozark Distribution Center—which delivers to customers in Missouri, Kansas, most of Oklahoma and parts of Arkansas and Nebraska—runs on artificial intelligence software created by German company Schaefer Systems International Inc. Known as a teach-in system, the software takes laser measurements of, weighs and photographs any new packaged food that comes to the facility. The system uses this information to determine the best path for the item, including storage location, packing method and more. Once an item has been “taught-in,” the system automatically recognizes similar products and treats them in the same way. Nevertheless, it’s impossible to ignore the possibility of automation-fueled job loss. A 2013 Oxford University study estimates that 47 percent of jobs in the United States are at high risk of being automated “relatively soon, perhaps over the next decade or two,” the study’s authors write. Locally the stats are even starker. Researchers at the Institute for Spatial Economic Analysis at the University of Redlands in California examined data from the Oxford study and the Bureau of Labor Statistics to determine which metropolitan areas could be most affected by automation. They found Joplin has the greatest percentage of jobs at risk of automation in Missouri with Springfield ranking third behind St. Joseph. The reason 417-land tops the state chart is because the region has a higher percentage of people compared to the rest of Missouri that are employed in occupations likely to be automated. Those include food preparation and service positions as well as sales and sales-related jobs. Despite these statistics, Brown isn’t too concerned. 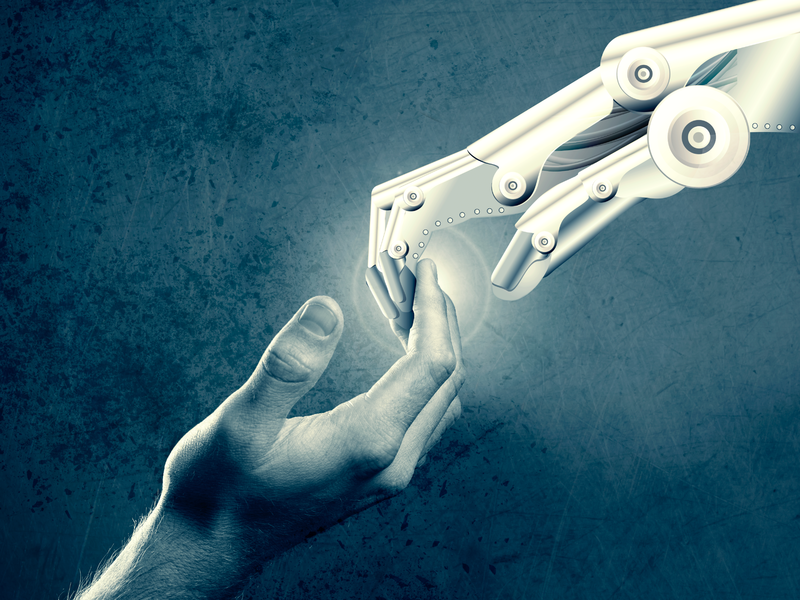 “In terms of long-term, widespread technological unemployment for long periods of time, I don’t see it happening,” he says, referring to his arguments about humans’ comparative advantage over machines in critical thinking and analysis, as well as the future economic opportunities that will be created by automation. He does acknowledge, however, that jobs are changing as machines are taking over repetitive, mechanical tasks. This might not be such a bad thing, though. People could largely avoid onerous jobs, and Brown says automation could improve society’s quality of life. He points to the difference in standards of living today versus in the 17th or 18th centuries when people worked longer hours with less reward. “One of the things technological progress offers is the opportunity for more leisure, less labor, but maintaining or even improving your standard of living so you can ultimately live a better life,” Brown says. At some point in the future, he says our full-time work week could decrease from its current 40 hours simply because of technology. Still, Croney says Elemoose can only automate so much. “So many projects we do for people are custom for that specific experience, so by the time you set up an automation for something, you’ve already created [the product], and they only want it one time,” she says. Similarly, Wainwright says McLane only employs automation when it makes sense. “Our business is very complex,” he says. Because the company serves clients of various sizes, it makes sense that it incorporates different distribution methods. “I don’t see [layoffs happening], at least not in the near future,” Wainwright says. Whether the disconnect between industry’s assurances that jobs are secure and academia’s warnings of the opposite is one of varying time frame isn’t clear. Still, there are strategies the community and employers in 417-land can take to insulate themselves from automation’s impact. Brown notes the region’s diversified economy and the availability of training programs are good signs. He stresses the importance of funding education and updating curricula to reflect the skills in-demand in the workplace. “If we keep educating people for an old economy, that’s not going to be a good thing because [we’re] just going to fall behind,” Brown says. He adds a final component that’s crucial to waylaying the effects of automation: “I think people need to be open to change, not only to the changing nature of work and jobs and so forth, but to educate themselves and retrain,” Brown says. That attitude is one Elemoose and its employees have thoroughly embraced. “We encourage everyone here to cross-train, and everyone does,” Croney says. By developing skills in multiple areas, staffers ensure they are valuable to the company even if their current jobs get automated. One employee who used to work in the computer numerical controls department, where the KUKA robotic arm and multi-cam routers are used, now works in the fiberglass department. “Everyone’s willing to go the extra mile and appreciates the opportunities that we get,” Croney says. Elemoose is betting its approach will ensure those opportunities keep coming. Donny Mihalevich founded Paladin Managed Solutions in 2016. The company creates automation systems and sells telepresence robots like this one. The increasing demand for machine intelligence across industries means there’s plenty of work to go around for automation houses. Two local companies explain the drivers of that demand and the challenges that lie ahead. From its parking lot, DT Engineering looks like all the other factories in Lebanon. But inside the cream-colored walls, employees are hard at work, making highly advanced automation systems for Fortune 500 companies around the world. The business originally opened as Lebanon Machine Shop in 1933. After a brief closure due to material scarcity caused by World War II, it reopened as Detroit Tool & Engineering and began making automated assembly systems among other things. Today, creating factory-automated systems represents 90 percent of DT Engineering’s book of business, says CEO Jim Sheldon, who purchased the business one year ago. The other 10 percent is traditional tool and die systems plus parts and services. “It’s a good time for automation,” Sheldon says. “There’s more work than all of us can handle right now in automation.” By 2020, the global building automation and controls market is expected to reach more than $55 billion in revenue. That’s nearly double the amount generated in 2013. 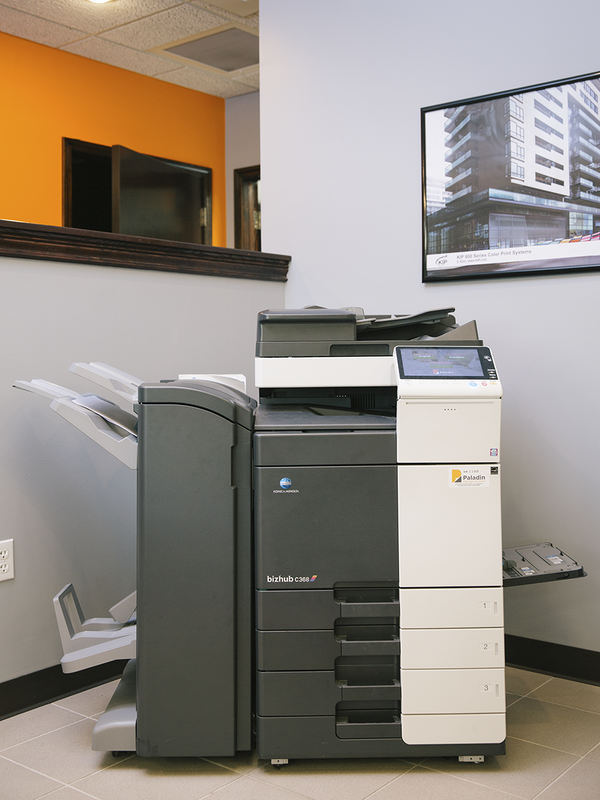 Thanks to automation software, Paladin printers do more than make copies. They sort, file and pull data from paperwork with the touch of a button. Among the systems Paladin has created by weaving together existing softwares are document handling and approval-based structures that rely on machine intelligence. 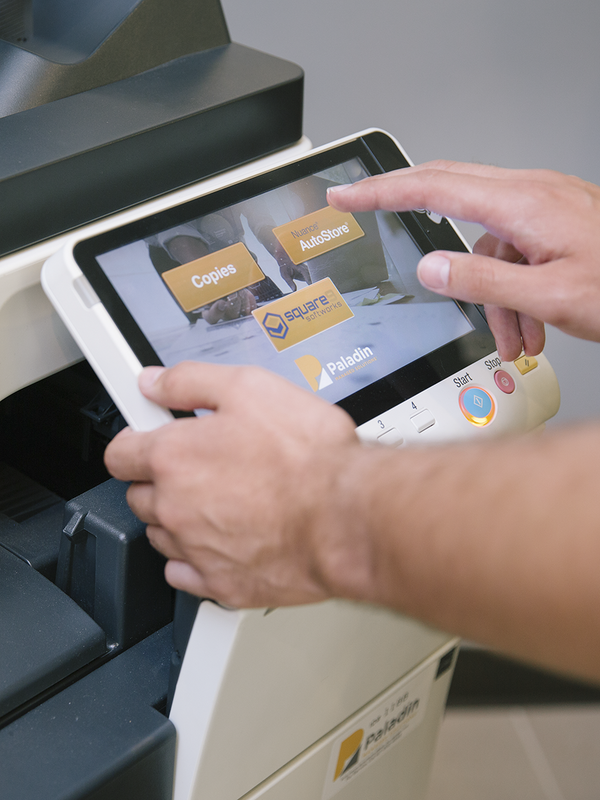 In document handling systems, copiers integrated with software read, process and file paperwork such as invoices based on a client’s workflow needs. Approval-based systems are more equipped to manage things like time-off requests or loan and invoice approvals. It was a request for a document-handling system from a local financial institution that led Mihalevich to start a business in the first place. The bank had bought several others and was struggling to keep its documents in order. “They buy a new branch, and they can’t get the people trained quickly enough to move the documents in the way they need them accurately into the back-end systems,” Mihalevich says. So the company reached out to him and asked for help, hoping to increase efficiency and decrease errors. Once the machine was in place, the results were clear. “We saw reductions [in errors from] probably about 6 percent per million documents to maybe down to .06 percent per million,” Mihalevich says. “And usually that .06 is built around people damaging documents, writing over a barcode, things like those where it breaks our automation.” He says had the bank not contacted him, he would not have opened his business, which he says has earned about $1.5 million in revenue in its first year. Even though automation is innovating companies, it can also make them more vulnerable. Cybersecurity expert Shannon McMurtrey, who is an assistant professor of management information systems at Drury University and creator of the school’s Cybersecurity Leadership Certificate, breaks down the risks and how to stay safe. Why does the risk of attack increase? McMurtrey says hackers examine potential targets based on their attack surfaces, or areas susceptible to attack. “When a company automates, they usually are increasing their attack surface,” he says. “When your attack surface increases, then obviously there are more ways for [hackers] to come in.” The more a business relies on and keeps information in systems connected to the internet, the better for hackers because it allows them to work remotely. There are a couple different motivations for hackers. Ransomware attacks, as the name implies, are aimed at getting organizations to pay money in exchange for their information and data that hackers hold hostage. Other attacks are fueled by the desire to make a political statement and can include hacking robots, which can then be used to make a kinetic impact such as physical damage to facilities, equipment and people. McMurtrey says these are less common currently. Protecting your business starts with understanding the risk. “A lot of business leaders are really good at understanding market risk and environmental risk, but they’re not as good at understanding cyber risk.” Once they do, they can institute policies such as regularly updating software, password protecting devices and using a VPN when connecting to public Wi-Fi. Executives should also evaluate network security and whether company assets need to be further segmented from the internet. Should we just stop using automation? DT Engineering has started aggressively recruiting top talent from Missouri University of Science and Technology, Missouri State University and Iowa State University. In the past six months, the company has hired three of its interns, one of whom doesn’t graduate until next year. “A lot of people always say, ‘People are our greatest assets,’” Cook says. “The reality of it is, in this business, that’s all we have.” To that end, Sheldon restructured the business after he bought it and introduced a more relaxed, fun environment in which fulfilling client needs is more important than when employees are on the clock. “I think it’s awesome that we’re bringing young, degreed talent in here, but now the state and the local towns have to open their arms to that talent,” Sheldon says. They can do that, he says, by continuing to offer skilled positions to match graduates’ credentials. Mihalevich believes there is enough talent to go around for automation houses as long as those employers commit to developing in their new hires. “It really comes down to how much you’re willing to invest in training those people,” Mihalevich says. On average, he spends six months to a year training technicians before they make service calls alone. “Most people don’t come with the experience built in,” he says. Summers spent brush hogging his parents’ farm in Conway, Missouri, inspired Lee Hicks and his wife, Meagan, to create an automated lawn mowing startup. When Lee Hicks was growing up, he spent summers in 90- to 100-degree heat brush hogging on his parents’ 80-acre farm. “It’s miserable,” he says. The slow process was made worse by the diesel fumes from the tractor. Hicks knew there had to be a better way, possibly one that completely automated the chore. He looked into the price of a GPS unit, which was $25,000 at the time, and unable to swing the cost had to table the idea. Although there are still a few kinks to fix, Lee and Meagan hope to start selling MowBotix during the first quarter of 2018 and eventually translate the technology so it can brush hog, apply fertilizers and insecticides and maybe even remove snow. 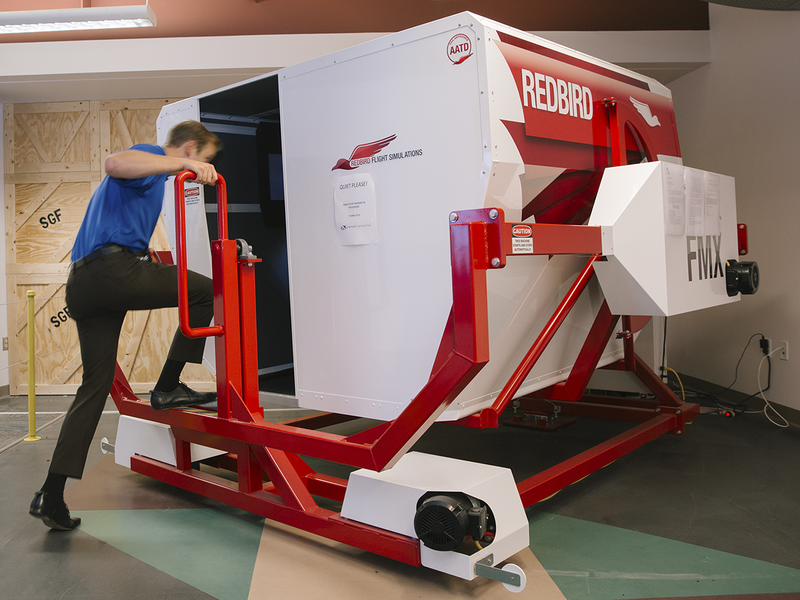 Students at Premier Flight Center complete some training in a Redbird FMX flight simulator. Certified flight instructor Seth Harper demonstrates the experience. Robots, simulators and other advanced technologies are preparing people for jobs in a whole new way. A hospital room is not something most people expect to find at Ozarks Technical Community College, but within OTC’s Allied Health Simulation Center, there are several. Step inside any one of them and the only indication that you’re not three or five miles south on National Avenue at Mercy Hospital Springfield or CoxHealth is the 180-pound high-fidelity simulation robot lying in the bed. Even then, you’ll do a double take when you see it blink or watch its chest move up and down. The simulation center started five years ago with one mannequin and a couple of classrooms. Now it has grown to include the refinished practice space plus six adult and four child mannequins, which breathe, sweat, cry, bleed and more in the name of education. Most of the students in Allied Health’s 14 educational programs complete some time in the simulation center. They practice things like starting IVs, taking vital signs, handling medical emergencies such as cardiac arrest, delivering babies and even performing amputations. “This is an opportunity to not only enhance clinical skills, but it’s also a chance for them to practice skills,” says the center’s director, Twila Chambers. “We try to make it as realistic as we can.” By placing students in real-life situations, they build confidence and learn from their mistakes without risking people’s health. And it’s not just students who are benefitting. Several area fire departments including Springfield, the Ozark Police Department, local National Guard and Army Reserve troops and all of CoxHealth’s paramedics and EMTs complete training on-site. As robots and advanced technology continue to improve, training experiences like the ones at the Allied Health Simulation Center will become the norm. Simulated trainings offer low-risk environments that are easier to control than real-life situations. After all, you can’t order a cardiac arrest on demand just for nursing students to learn. There are seven levels of flight simulators. This is a level four. An early adopter of simulation training was the aviation industry. Flight simulators were born out of military necessity decades ago and have trickled down to the commercial and hobby flying realms. 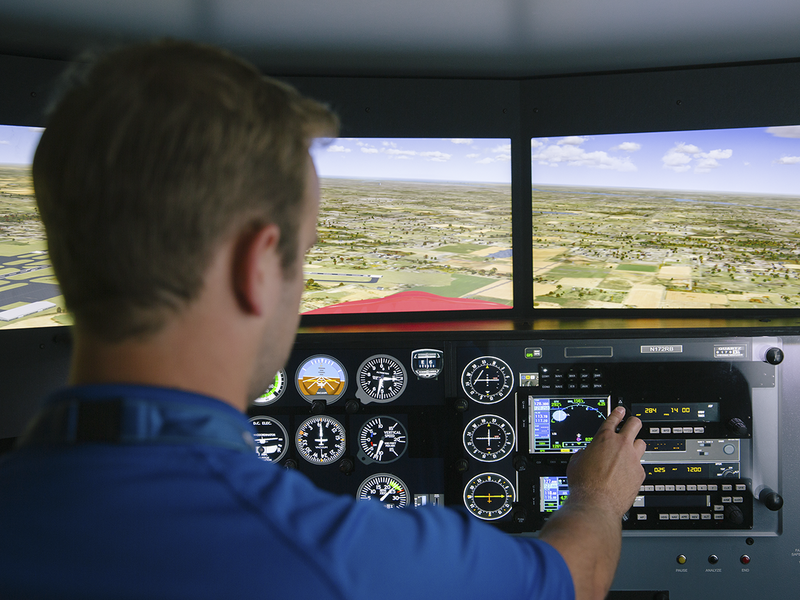 Commercial airline pilots rely almost exclusively on simulation during their training and even take the final test in a simulator, says Austin Pippin, the assistant chief flight instructor at Premier Flight Center in Springfield. Students at Premier use a Redbird FMX flight simulator during part of their training. Even newer technologies poised to alter on-the-job training are 360-degree videos and virtual reality. 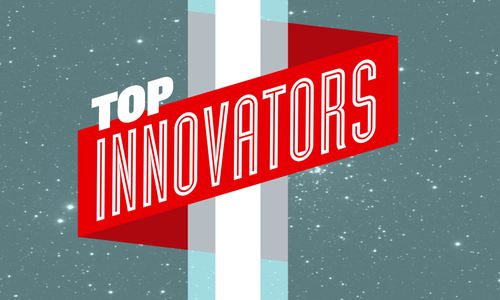 These platforms are so new experts and companies are still figuring out exactly how to use them. Beyond Creative, a video production and branding agency in Springfield, is one of the first companies in 417-land to tap into the possibilities these immersive videos offer. “There [are] so many applications for it, and once you see it, once you experience it, your mind starts to open to what it can do,” Adam Devizia says. He and co-owner David Messner say the technologies can help a variety of industries with training and also development, marketing and sales. “I related it a little bit to when the iPad first came out,” Devizia says. He explains that people were interested in the technology, but even Apple didn’t fully understand the usefulness the device would soon offer through the now-booming app market. Likewise, there’s still novelty surrounding 360-degree videos and VR. Most people don’t even know the difference; whereas 360-degree video captures real places and experiences, VR offers interaction within a 3-D–created space. “What’s unique, I think, about virtual reality or 360 video is, for the most part, you’re moving people in a whole other way than you ever had,” Messner says. At press time, Beyond Creative had created a 360-degree video for a local nonprofit and was in talks with a local manufacturer to make a video for sales purposes. Charlie Rosenbury, owner of Self Interactive, is educating 417-land on the utilities of virtual reality in the business world. Here are three areas he says companies can deploy the developing technology. Large companies have used VR for promotional purposes. In 2015, Merrell created virtual hikes for customers to walk while wearing the company’s hiking boots, and last year McDonald’s sold Happy Meal boxes that transformed into branded Google Cardboard viewers. Especially for dangerous or high-risk activities, Rosenbury says VR offers companies the chance to train and test employees in safe settings. VR plug-ins are now available for software that architects and builders use. “They can just press a button, hop into virtual reality and then they’re walking around their drawing in virtual reality, and they can actually manipulate it and edit it in virtual space,” Rosenbury says. 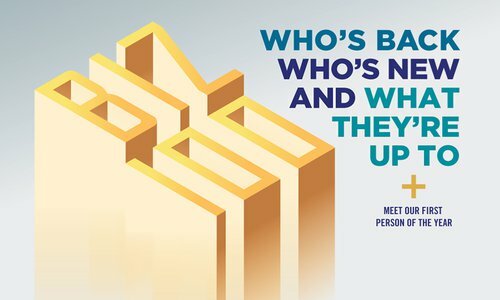 Software from companies like ADP allows human resources directors and managers to focus on strategic growth instead of implementing reactive policies. The last thing human resources staff want to spend their precious time on is tracking where job applicants are in the hiring process. After all, finding top talent is hard enough. Since 2005, ADP has offered and continued to update its software that helps HR directors and managers automate company hiring. “We’re eliminating the manual entry, and we’re automating those back office processes,” says Cheryl Bartkoski, ADP’s district manager for southwest Missouri, where the company has about 200 clients. Overall Bartkoski says the hope is that these tools keep HR directors from reacting to problems as they arise. “Our goal is to help relieve a little bit of the tactical or administrative duties of that position and help them focus more on strategic growth of an organization,” she says. Ozarks Technical Community College constantly evaluates its 21 technical programs to ensure they are preparing students for jobs in the local economy that require increasing familiarity with advanced machinery and computer systems. “We’re fortunate at OTC because we can change curriculum quickly, which is necessary in industry because it develops quickly,” says Matt Hudson, OTC’s dean of technical education. 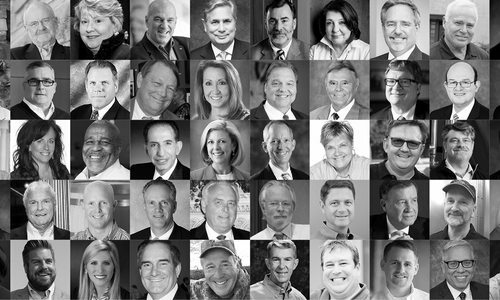 “And we take directly from what our industry partners tell us is coming or we should be preparing for to make those curriculum adjustments.” OTC’s technical and allied health programs all have advisory boards composed of business owners, technology experts and other leading professionals. When curricula changes are necessary, Hudson says the college can implement them more quickly than four-year universities. Sometimes changes at OTC take effect in several months, other times it can take a year or so. Either way, it’s better than the several years it can take at four-year institutions. For the past several years, OTC has invested $1 million or more in equipment upgrades, which frequently means students are training on equipment that’s newer than what local employers have. But at the end of the day, Hudson says the most important ways OTC can prepare students for the future economy is teaching them problem solving, collaboration and professionalism—soft skills that will still be relevant regardless of the latest technology.